The UK Treasury’s Digital Currencies Inquiry has closed for written submissions. 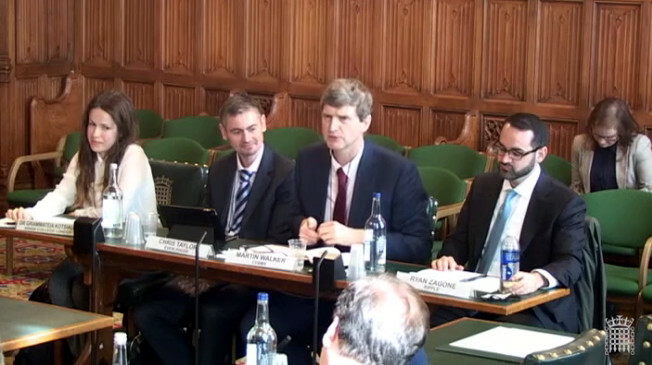 The first spoken evidence session was yesterday, featuring Ryan Zagone (Director of Regulatory Relations, Ripple), Martin Walker (Director, Centre for Evidence Based Management), Dr Grammateia Kotsialou (King’s College London) and Chris Taylor (Chief Operating Officer, Everledger). 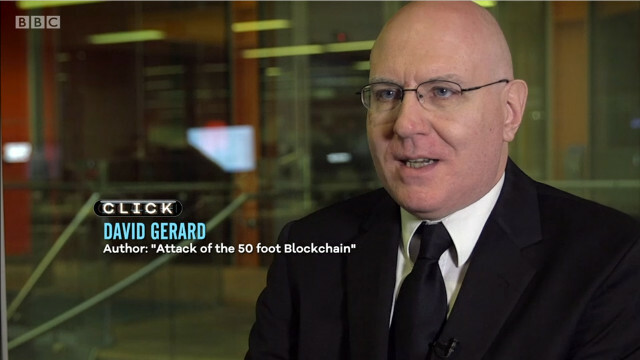 The video is worth a listen — the company people seemed to think it was a marketing presentation, and Martin did a marvellous job of presenting the reality-based view, garnering writeups in Business Insider and FT Alphaville. The written evidence from Martin Walker and Izabella Kaminska has been put up. I’m a prospect for the second session. CFTC and SEC regulators meet next week to decide if Ether is a security — whether Ethereum’s initial token offering was functionally a security offering. If you thought the venture capital-backed startup economy was a house of cards already — Andra Capita has raised $500 million in funding for Silicon Valley Coin (SVC), an ERC-20 token running on Ethereum, that investors can use to back a group of late-stage venture capital firms. Now that will be a smart contract with quite a bug bounty attached. Andra’s pitch is that this opens venture funds to merely middling rich people (any accredited investor), not just ridiculously rich people. They openly suggest that the initial buyers should just make money selling their coins on, so. The next episode of HBO’s Silicon Valley is titled “Initial Coin Offering.” “Richard gets unsettling news as the Pied Piper guys prepare to close their Series B funding. Meanwhile, Gilfoyle suggests a risky proposition.” Maybe it’ll feature Satoshi’s Basilisk. In the mind of a crypto shill: "Wow, I've been so outspoken promoting all these obvious scams, and nothing bad has happened, I must be immune to prosecution!" In the mind of a SEC investigator: "Jesus this will be a slam dunk. 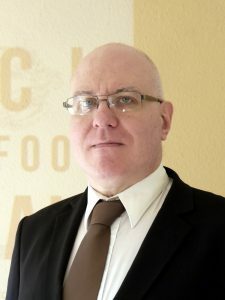 OK, just let him publish one more dumb post…"
“Look, the internet belongs to the Americans — but blockchain will belong to us,” a Russian member of the FSB told delegates to the ISO Blockchain Committee, making it clear to the world that Russia can self-sabotage just as badly as the US or the UK. Roger Ver labels BCH “Bitcoin” and BTC “Bitcoin Core” on bitcoin.com. Several hundred Bitcoin users say they’re going to sue Ver and bitcoin.com, because it is crucially important to anarchist liberty and decentralised hyperbitcoinisation that (squints) the statist jackboots make my number go up. Yeah. I am of course fully confident that all funds raised will be used for an actual lawsuit, and none will just vanish or fall prey to a most unfortunate hack. Bitcoin Cash is increasing its maximum block size from 8 megabytes to 32 megabytes! It’s not clear when this will ever be used — even Dogecoin has more transactions than Bitcoin Cash. BBC Click has an episode up, “Mining for Money”. The segment from 18:09 on is about the war in Syria, UNICEF’s efforts to help refugees there, and UNICEF France’s Game Chaingers initiative — making money to donate by mining Ethereum — which was most notable for the string of falsehoods in the FAQ. UNICEF France failed to enlist the general gaming populace, so they’re now using professional gamers in their marketing. I’m on from 21:36 to 22:30 bagging on the whole idea and telling people to get out their credit cards instead. See the UK and international broadcasting times, or watch it on iPlayer. Sadly, the disease is spreading. UNICEF Australia wants you to mine Monero on their web page for charity. The Financial Times attempts to explain to Binance in small words what “journalist” means. This may not be the way to stop journalists writing you up in as much detail as they can. ACX.io seem to be unhappy with my article about their banking problems. But blocking me from reading their tweets while I’m logged in will definitely keep me from writing about them, and will also keep their upset customers who can’t get their cash out from forwarding their emails to me. Or perhaps it won’t. People will believe anything, as long as it gives them an easy answer to the most important question in the universe: "how can I become rich quickly and without working?" 5. Calling it peer review when your buddy gives your paper a look over. 180 years in the future, humanity is down to the last 100,000 tins of baked beans. A group of unlikely allies assemble in the post apololyptic dessert. They mount their homemade cycle-generators and pedal furiously, trying to mine enough bitcoin to purchase a chicken. IDEA: Someone should make an exact copy of sqlite called Blockchain. 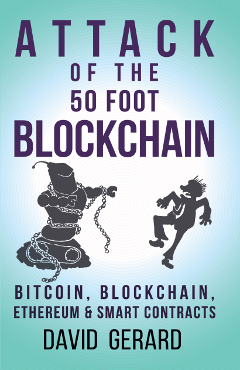 When a managerial-level moron wants you to "use Blockchain" for some nonsense reason, you install it, calmly reassure them of having installed Blockchain, and you have an awesome useful database instead. You know that @dril candles tweet? It was about a real guy, on SomethingAwful. You’ll be utterly unamazed to hear he’s into cryptocurrencies now. And bought at peak in December, on a credit card.